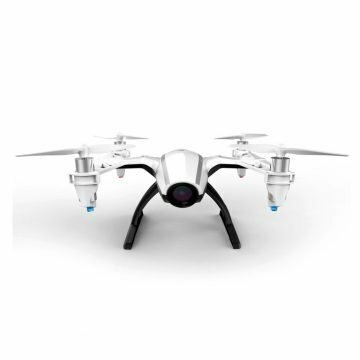 This new quadcopter is the updated, upgraded, bigger and better version of the Syma X5C Quadcopter with HD Cam. This new and improved version still has all the same amazing capabilities as the X5C, but with a few changes to make the most of its skills. The rotor guards have been increased in size to further protect them from damage and the landing skids have been raised to give you the best possible viewing angle. 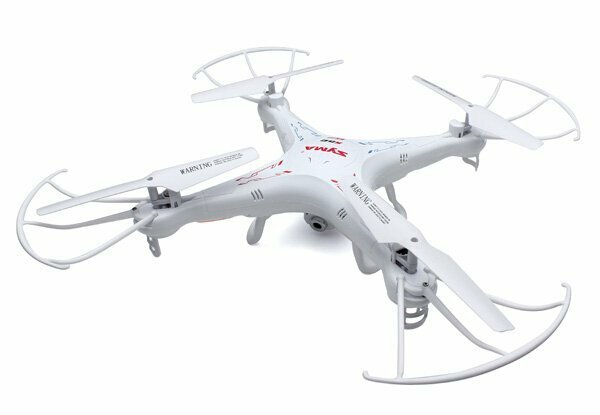 With a range of approximately 50 metres, incredible stability, and indoor and outdoor usage, the Syma X5SC Quadcopter With HD Camera is an awesome flying beast. 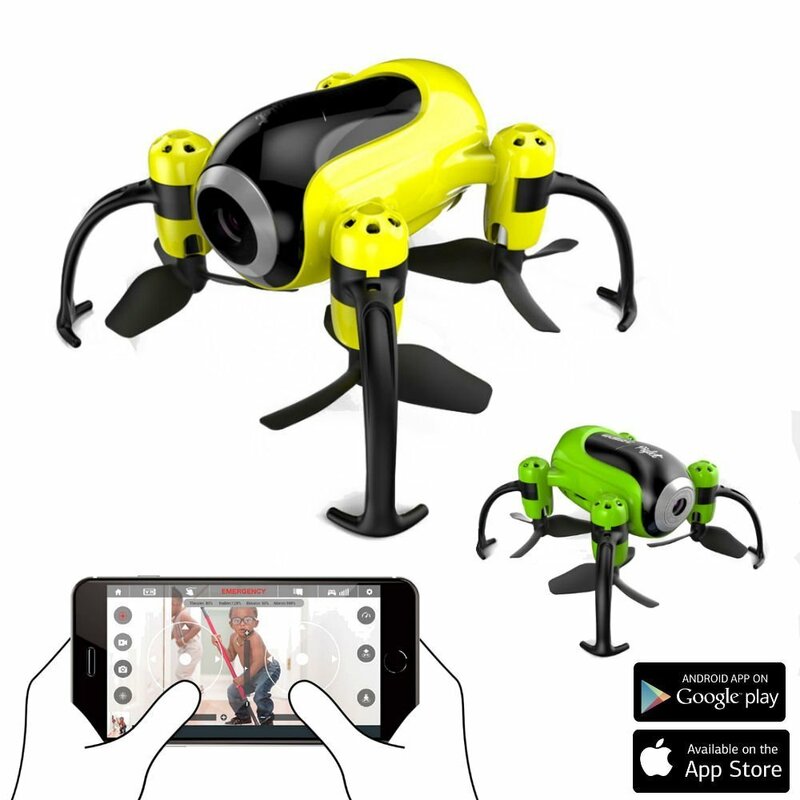 An exciting new feature has been added to this quadcopter – the Headless Flying Function. It sounds absolutely bonkers but is actually quite simple. 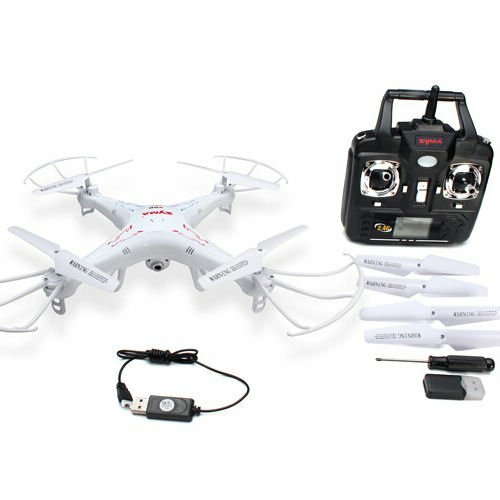 Basically, headless means that the quadcopter has no sense of direction itself – whatever is left to you, is left to the quadcopter and whatever is right to you, is right to the quadcopter and so on. This makes it easier to know which way to direct your quadcopter whilst flying and the optional mode can be easily selected by pressing one button on the remote control. 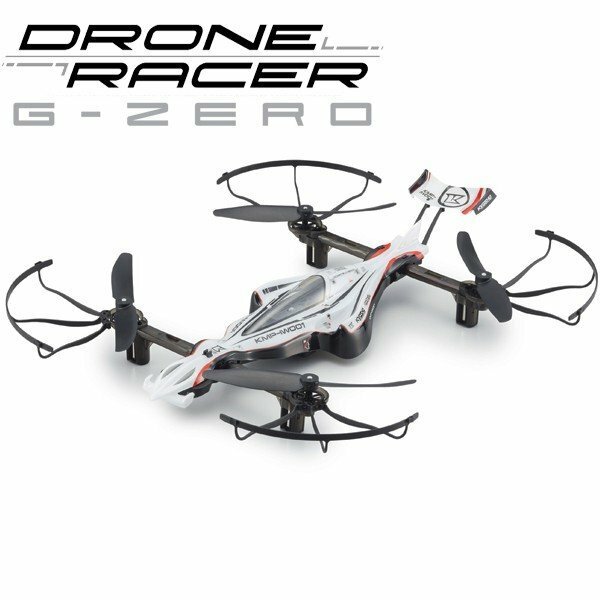 This quad comes with a 6 axis gyroscope and 4 channel flight making it suitable for newbies who are just starting out on 4 channel flyers, as well as the pros who want to do some sweet tricks. Yes you heard/read us right, tricks! Not only can you literally throw this quadcopter in the air to start your flight but you can also complete 360° flips and twirls. Select between two modes of flight, one for n00bs and one for the more advanced pilots and you are on your way. 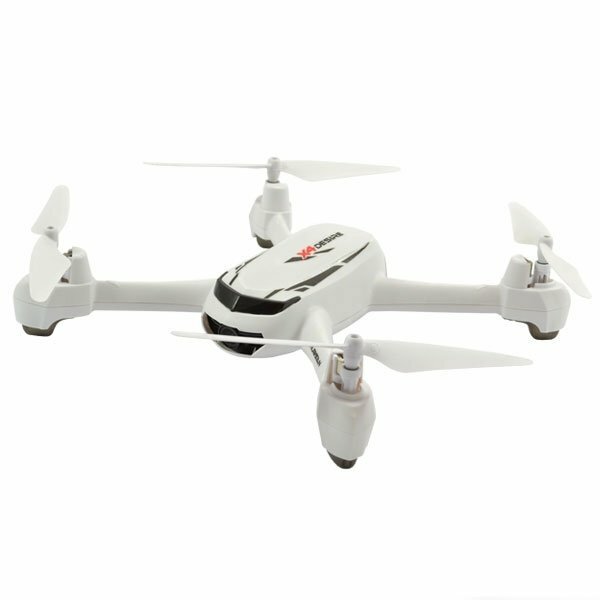 As it is 4 channel, you can get awesome banking abilities too making this quadcopter even more fun to whizz around.